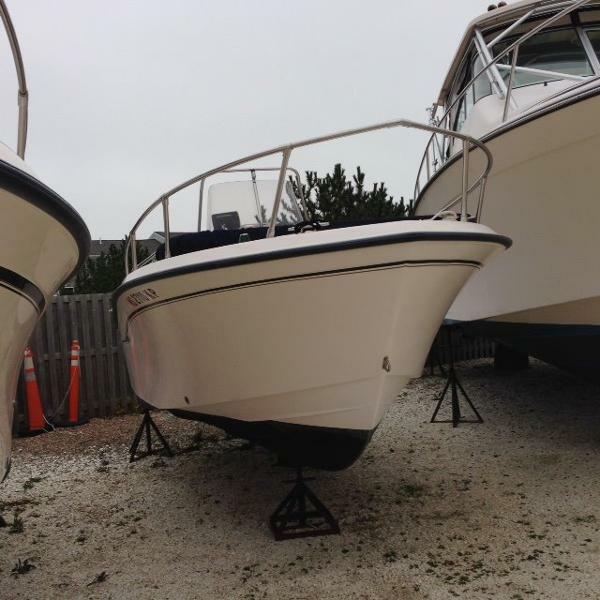 2000 Grady-White Escape 209, 2000 Grady White 209. 200 Yamaha, swim platform, hydraulic tilt steering, bolster pads, dual batteries with selector switch, on board dual battery charger, Garmin 541 map, Sony stereo system with infinity speakers and amplifier, compass, VHF, fiberglass leaning post with foot rest, rod holders and storage, t-top with LED over head light and front and rear spreader lights, trim tabs, console cover. 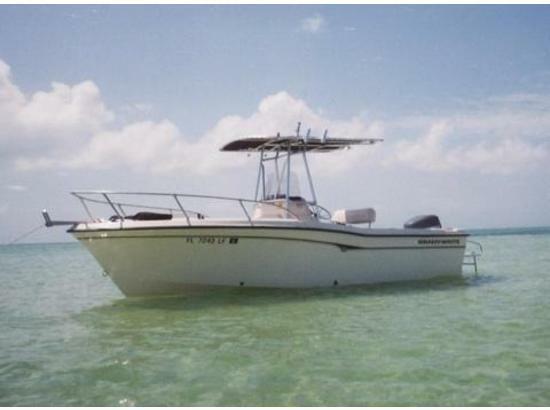 1994 Grady-White Escape 209 The Grady-White Escape 209 features ergonomic controls, eye-level instrumentation and rounded edges for comfort and safety. 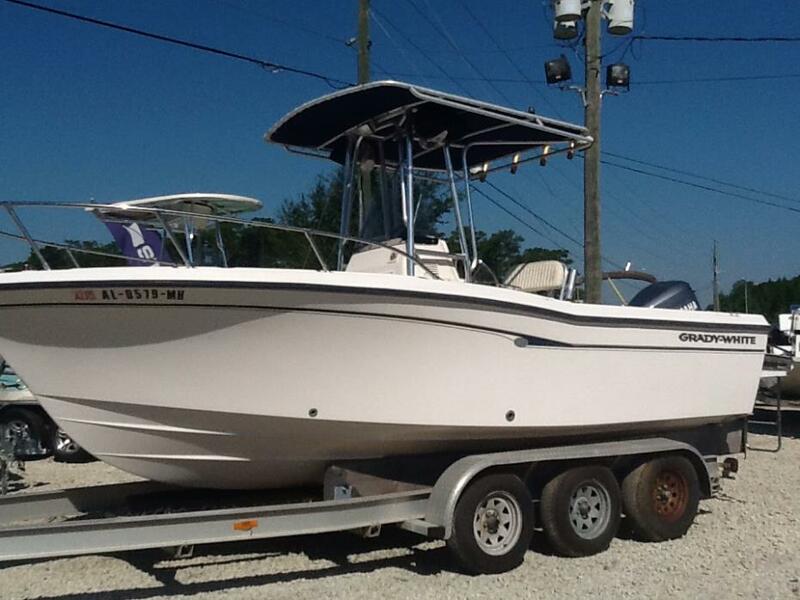 The 209 combines the proven SeaV2 hull ride with a stylish look and color scheme. The 209 has a roomy 41-square-foot non-skid covered cockpit. A forward anchor locker, raised casting platform and high freeboard interior cockpit make anchoring and fishing safe and comfortable. 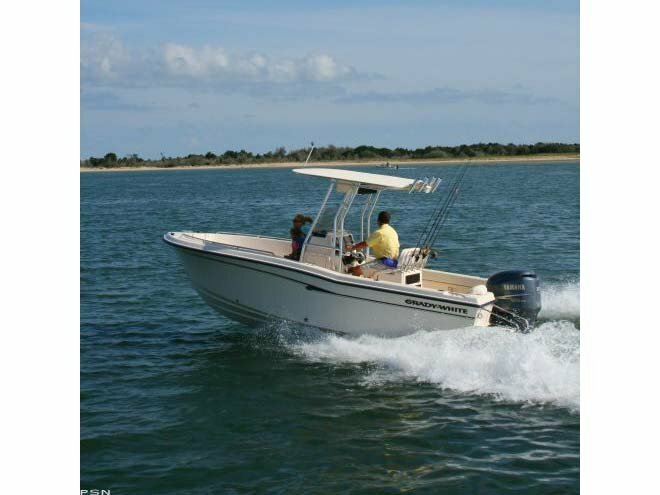 The Escape 209 has two aft rigging compartments and six rod storage racks. There are also more than 200 quarts of insulated storage aboard, along with a 28-gallon livewell. 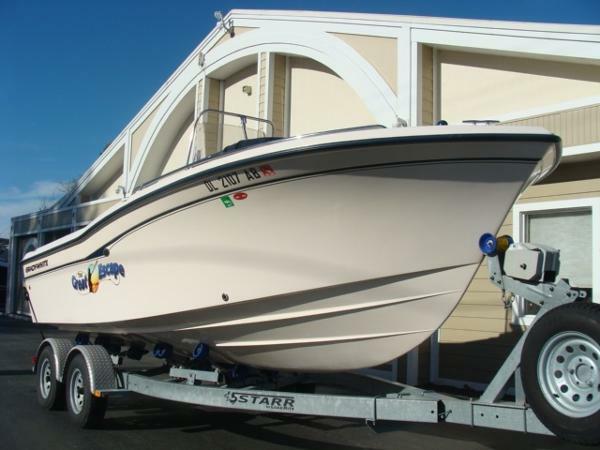 This boat is powered by a 1995 Johnson 200hp. 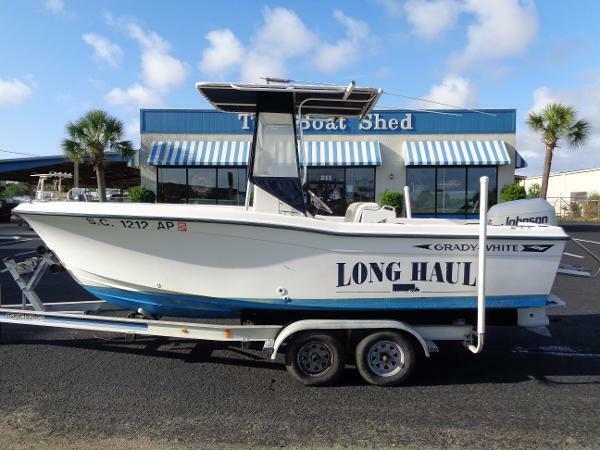 The options include: T-Top, Radio Box, Rocket Launchers, 3 Sided Curtains, Trim Tabs, Bottom Paint, Swim Step w/ Ladder, Compass, Raw Water Washdown, Sitex Loran XJ9, Sitex CVS 106 Bottom Machine and a Icom VHF. It comes with a MagicTilt tandem axle aluminum trailer. Call us today and fish tomorrow!